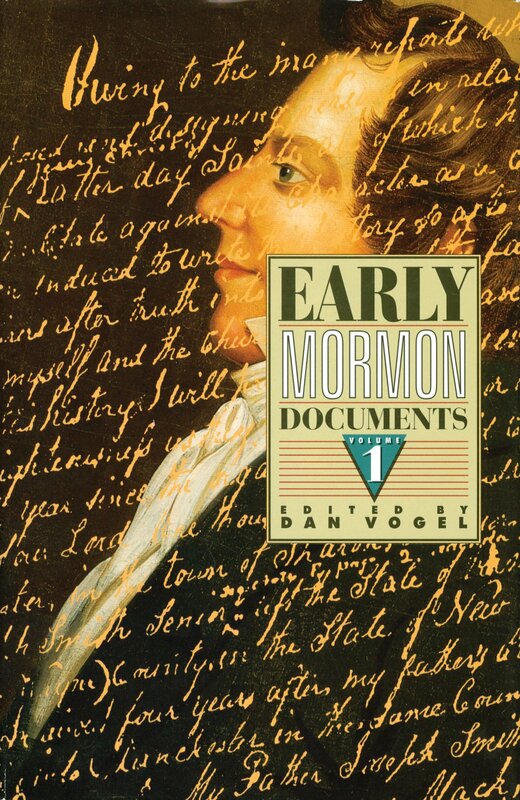 Dan Vogel, ed., Early Mormon Documents, 5 vols., Signature Books, Salt Lake City, 1996-2003, Volumes range from 500 – 700 pages each. Sometimes you need to read it for yourself. The three LDS missionary sisters were skeptical and wanted to see proof. Someone told them that Joseph Smith’s mother, Lucy Mack Smith, wrote about Joseph’s story-telling ability. Did Joseph really tell his family all about the ancient inhabitants of the Americas, including their warfare and religious worship before he’d translated the Book of Mormon — or even obtained the gold plates? They were the missionaries and none of them had ever heard anything about this. Was it hearsay or was it true? "Joseph affirms that he did work as a money digger but it was not very profitable as he only got $14.00 a month, but Vogel notes that this should be compared to the $8 - $12 per month that was paid to canal workers on the Erie Canal, p. 53." Now it’s true that not many people have cause to track down a manuscript copy of Lucy Mack Smith’s 1845 History, but those who want to can now do just that. The 1845 History by Joseph’s mother, is just one of the hundreds of historical texts contained in Dan Vogel’s Early Mormon Documents (EMD). The complete typescript of the original handwritten manuscript is available and footnoted, and is arranged in parallel columns with the 1853 edition published in Liverpool, England by LDS Apostle Orson Pratt. This allows the reader to note insertions, deletions and other emendations made to the published version that are foreign to the original. Besides providing the text of this document, EMD Volume 1 (which won the Best Documentary Book Award from the Mormon History Association) contains over 100 primary-source documents relating to early (pre-1831) Mormonism. Vogel includes detailed introductions, notes and cross-references to people and Mormon-related letters, journals, newspaper articles, and diary entries. Lucy’s history is exemplary of documents that shed a different light on early Mormonism and the pre-Book of Mormon life of Joseph Smith. Different, that is, from what is told to investigators and often the LDS missionaries themselves. Immediately following the above paragraph, Lucy talks about an angel appearing to Joseph telling him in 1823 he can try and get the plates (EMD, p. 297). 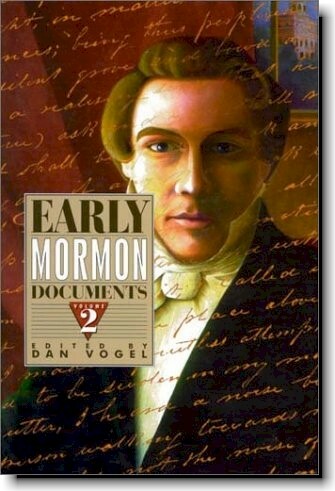 Early Mormon Documents is a multi-volume work divided into sections that Vogel has run consecutively throughout the volumes. 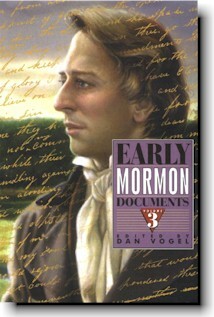 The first volume of Early Mormon Documents contains Part I (Joseph Smith Family Testimony) and Part II (Mormon Origins in Vermont and New Hampshire). Volumes II-IV contain Part III (Mormon Origins in Palmyra and Manchester, New York). Vogel has organized each Part by collections of documents, mainly biographical or autobiographical accounts by the particular person. So Part I includes the Joseph Smith, Jr., Collection, the Lucy Mack Smith Collection, the William Smith Collection, among others. Part II features Mormon Origins in Vermont and New Hampshire. Part III includes collections related to Martin Harris, Oliver Cowdery, Arthur B. Deming, John H. Gilbert (who proofed the printer’s manuscript of the Book of Mormon and set most of the type), and Doctor Philastus Hurlbut (which has some of the first written criticisms and evaluations of the Joseph Smith family collected from friends, neighbors and acquaintances in 1833). Included also are collections of miscellaneous documents organized into categories like Early Sources, Late Sources and Non-Resident Sources. These include interviews, affidavits, letters, reminiscences, tax records, church, census, and land records, which Vogel introduces giving pertinent historical and biographical information. When it is necessary, Vogel properly advises caution, striving to put letters and newspaper accounts into proper historical context and notes the source’s relationship or tie to Joseph Smith or his family. Vogel’s extensive research and experience with these documents makes his analysis invaluable and as helpful as the accounts themselves. Joseph Smith Answers to Questions, 8 May 1838 (this entry is a good example of Vogel’s historical notations, as Joseph affirms that he did work as a money digger but it was not very profitable as he only got $14.00 a month, but Vogel notes that this should be compared to the $8 - $12 per month that was paid to canal workers on the Erie Canal, p. 53). Photograph of Palmyra Masonic Record 1827-1828 (Shows Hiram Smith as a member). Each volume has an extensive index and features cross-referencing of both documents and people between volumes. For example, Vogel notes that the James Collin Brewster account listed above from Vol. III mentions Alvah Be(a)man, who is also mentioned in the Lucy Smith History in Part 1, Section A, item 5 n. 151. In similar fashion, the document Joseph Smith Answers to Questions, 8 May 1838 found in Volume I, refers to more than a dozen other documents contained in EMD that offer additional details and supporting evidence and gives Part, Section and Document number for each one. This allows the researcher to easily trace threads of evidence or the lives of specific people through multiple documents and historical time periods. Vogel is to be commended for providing a multi-volume gold mine of history that features the best of both worlds – the raw historical data which can be read in context, and an extensive textual apparatus that allows the reader to investigate history, context and cross-references. Together they provide a complete, candid, and for some a surprisingly different picture of early Mormon origins – straight from the source’s mouth.